It’s no secret that special effects in movies are now so good that movie studios are struggling to take things to the next level. Similarly in gaming, graphics are at the stage where they’re very realistic, yet real-life graphics are still a long way off. As a result, movie and game studios alike are looking for new ways to make their films and games as visually stimulating as possible. And 3D seems like it’s becoming a bit of a favourite in both industries. Disney is currently making 3D versions of both Toy Story movies, and will release them before Toy Story 3 comes out in 2010. Likewise, bigshot movie directors like James Cameron and Peter Jackson have been spending a lot of time working on new 3D movie technologies. 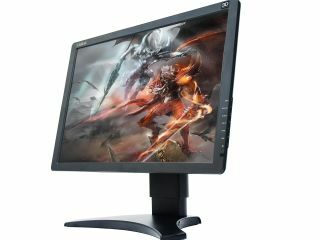 In steps the Zalman ZM-M220W 3D monitor. It displays any movie and any PC game in amazing 3D and the results are extremely impressive. Using an extensive array of drivers, the ZM-M220W transposes two slightly different images on the display panel at the same time. And using 3D glasses, when you look at the screen, it appears to be 3D.